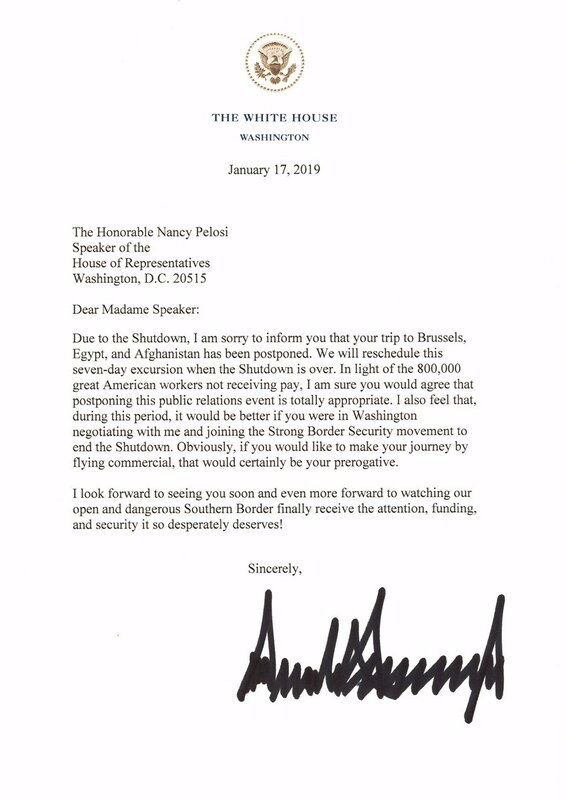 Trump has just sent Nancy Pelosi a letter postponing her trip to Egypt, Afghanistan and Brussels due to the government shutdown. LOL! The letter was just tweeted by Sarah Sanders. He also tells Pelosi that it would be better for her if she remain in Washington during the shutdown to negotiate with him for Strong Border Security. This is obviously in response to Pelosi’s letter to Trump about postponing his SOTU address.